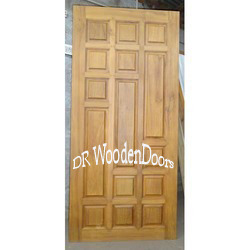 Pioneers in the industry, we offer main wooden door from India. Our domain expertise has enabled us to come up with an excellent collection of Main Wooden Doors. These doors are manufactured by highly experienced and trained carpenters using high grade wood and latest machines. The wood utilized for designing and manufacturing the offered range is procured from reliable and trusted vendors of the market. Looking for Wooden Doors for Home ?